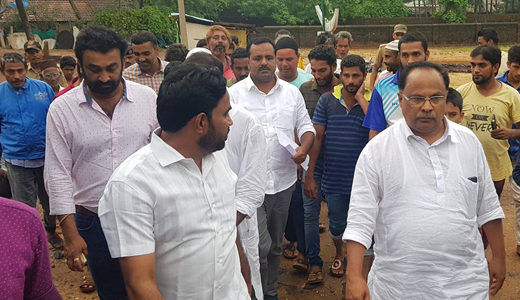 Mangaluru, June 10, 2018: With rains intensifying in the coast since the past two days, as feared even the sea has turned rough and several areas in Ullal and Someshwara are in danger due to sea erosion. In the meantime the task of dumping boulders continues in Kaiko, Kotepura areas. 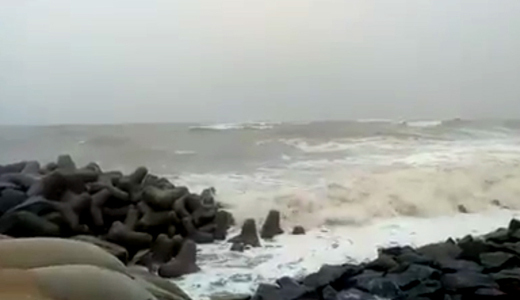 Though the huge boulders that are being dumped are providing at least some relief for the time being, still at some places the waves are continuing to lash at the houses. 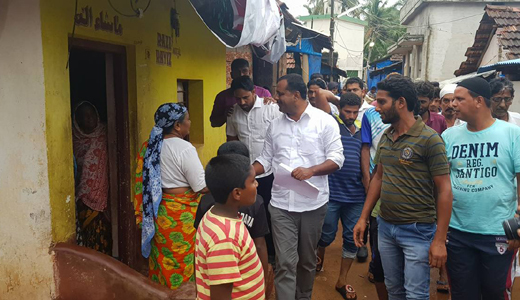 Khader visits: On June 9, Saturday evening, State Minister for Urban Development and Housing U T Khader several area in Ullal which are facing danger of sea erosion. On this occasion, locals appealed to the minister to find a permanent solution to the problem. The Government ha to strictly ban these people from building houses away to some distance.